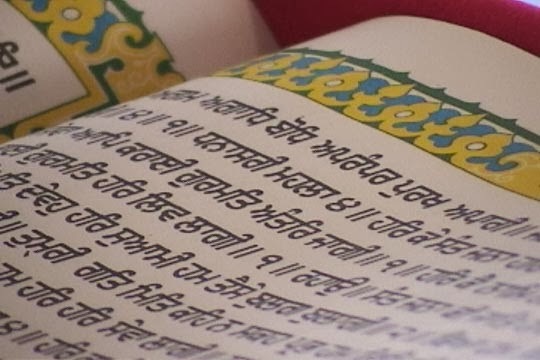 AMRITSAR: For the first time since Partition, Sikhs in Pakistan have decided to initiate a movement to bring back 'saroop' (embodiment) of Guru Granth Sahib, which was installed at Gurdwara Nankana Sahib till 1921. The demand came a day after Sikh clerics gave 'karsewa' (voluntary service) of damaged 'saroops' to Baba Narinder Singh and Baba Balwinder Singh of Gurdwara Langar Sahib, Hazoor Sahib (Nanded), 93 years after the massacre at Nankana Sahib on February 21, 1921. While stating that it is never too late to take decisions on such religious issues, the chairman of Baba Guru Nanak Welfare Society, Pakistan and former president of Pakistan Sikh Gurdwara Parbandhak Committee (PSGPC), Bishan Singh, told TOI on Tuesday, "The 'saroop' belongs to Gurdwara Nankana Sahib and it should be installed there only." He said Sikh organizations in Pakistan have decided to take up the issue with the country's minority ministry and Evacuee Trust Property Board (ETPB, a body that manages Sikh and Hindu religious properties, to start the movement for bringing back the 'saroop; from India. However, he hailed the initiative of Sikh clerics for undertaking preservation of the historic 'saroop'. He informed that PSGPC was dissolved after the expiry of its president's term a couple of months ago and the new body would be constituted within a few weeks. "Once the new body comes into existence, we will hold a meeting of its members and pass resolution to bring back the 'saroop' from India," said Bishan, who is also chairman, minority welfare organization. He said Sikhs from around the world visit Gurdwara Nankana Sahib and it was the only appropriate place to install the 'saroop' where it belonged. Expressing difference with the demand of Pak Sikh body, the Jathedar of Akal Takht - Sikh's supreme temporal seat - Gurbachan Singh said the 'saroop' was in possession of Shiromani Gurdwara Parbandhak Committee (SGPC), which emerged after the gurdwara reform movement, so it was the centre of Sikh religious movements. "Instead, we have issued an appeal to Sikhs of the world to hand over any article or historical 'saroops' of Guru Granth Sahib to SGPC. How the 'saroop' could be given to PSGPC," he asked.